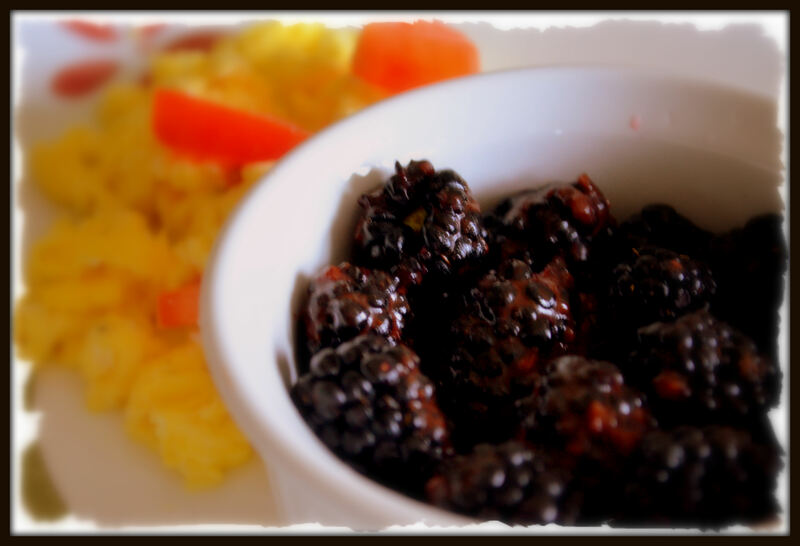 What better thing to go with some creamy scrambled eggs than a bowl full of fresh blackberries that are drizzled with chocolate strawberry sauce?! We loved it this morning! Wash and cut up the strawberries and puree them in a food processor. Meanwhile, melt the coconut oil. Combine the pureed strawberries, coconut oil, honey, and cocoa, mixing well. You might want to warm the sauce up a bit in the microwave…I liked the cold fruit mixed with the warm sauce. Note: you will have extra sauce with this recipe…keep some in a container in your refrigerator to use with other fruits for snacks, breakfast, or dessert. If you don’t want the extra, then cut the sauce ingredients in half.